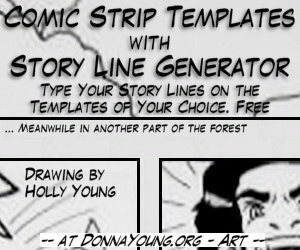 Below are the comic strip templates on this page. The templates on this page feature a large comic pane that may be used as one space or further divided by the artist. The large pane allows up to 6 lines of story. The other row features various quantities of blocks. Be sure to look at the other pages of templates, there are 3 pages in all. Comic 12a has 1 large panel at the top and the bottom row has 2 side-by-side asymmetrical panels for the drawings. Comic 13 has 1 large panel at the top and the bottom row has 3 side-by-side panels for the drawings. Comic 21 has 2 side-by-side panels at the top and 1 large panel at the bottom for the drawings. Comic 2a1 has 2 side-by-side asymmetrical panels at the top and 1 large panel at the bottom for the drawings. 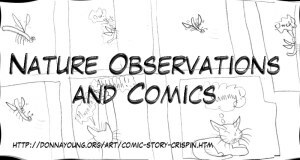 Comic 31 has 3 side-by-side panels at the top and 1 large panel at the bottom for the drawings.